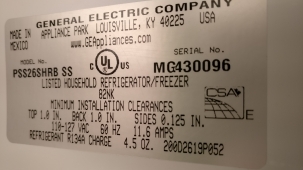 Refrigerator GE Profile PFCS1NFXCSS - not cooling at all, compressor won’t start - GE Profile Refrigerator Repair in San Jose, CA. We got an emergency call from a customer who after returning home from a short vacation found all the food in the fridge spoiled because of the non-working fridge. Our tech removed the back cover to check the compressor - it was cold. The inverter board WR49X10283 was getting 120VAC and floating power from 0 VAC to 3.6VAC from signal wire from main control board. From the inverter board WR49X10283, however, the compressor was not getting 230VAC, 150Hz. This was a sign that the inverter board WR49X10283 was defective. Since all the fans were working properly, the control board was not causing any issues so the only option was replacing the inverter board WR49X10283. 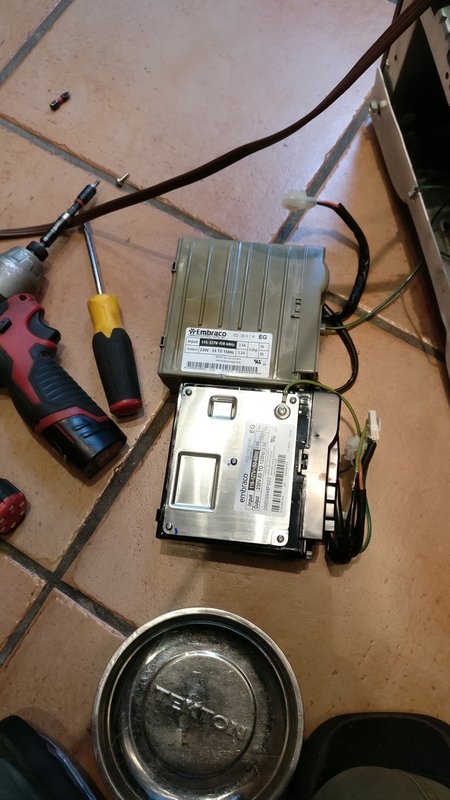 Once this was done, the compressor started working again and the fridge started cooling.